Note: Due to the difference between different monitors, the picture may not reflect the actual color of the item. If you have any problem. Does not affect the overall effect. As shown in the China Ver. Version: Made in China,China Version. Without Original box But with Bubble Wrap(hope your understanding). Trending at C $69.37eBay determines this price through a machine-learned model of the product's sale prices within the last 90 days. Manufacturer: SQUARE ENIX Size: Box size: W14 x D16 x H25cm, About. All problems can be solved by proper communication and patience, that is the quickest way to revolve all issues. Therefore. have extra cost. United States / United Kingdom / Australia. Quantity: 1 PCS. Condition : New. 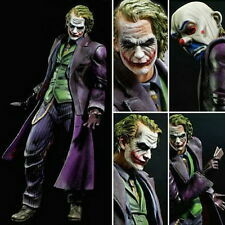 PLAY ARTS KAI Batman The Dark Knight Joker PVC Action Figure 11'' China Ver. Material: PVC. China Version. Size: about 26cm (11 in.). 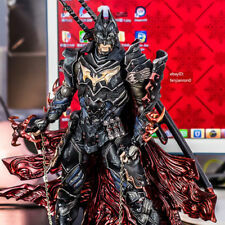 With unsurpassed quality of the paint application and detailed texture that only Square Enix Products can bring, this would make a great addition to your Batman collection. 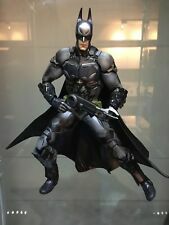 Dc Comics Variant Play Arts Kai Batman Timeless Sparta Square Enix CHINA VER. Material: PVC. Size: about 24cm (10 in.). Perfect decoration for your desk or office room, bedroom, living room. I will try my best to reply you asap once I am online. May take up to. 6-8 weeks due to strict Custom Inspection May take up to 6-8 weeks due to strict Custom Inspection. Made in the year 2016. It is factory sealed in the gatefold display box. United States / United Kingdom / Australia. Quantity: 1 PCS. Version:china.ver(not authentic). We will try our best to reduce the risk of the custom duties. Detail Image. 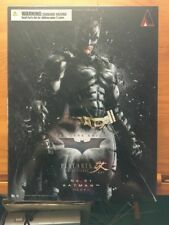 Play Arts Kai Batman Dark Knight Katana Red Limit Figure Statue Model CHINA VER. Square Enix. Batmans 1970s Batsuit Skin is based on his appearance in what fans call the Silver Age of comics, and features a greater range in cape articulation and flexibility than ever before! TEST TITLE. I cordially answer it. Because of his exceptional talents, ROBIN’s partner BATMAN has placed the utmost trust in him. He and BATMAN will fearlessly face off against the enemies that plot to create a “city of fear,” destroying Gotham City™ as they know it. Batman's cape features articulation and flexibility! 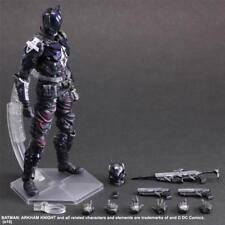 Plus, Batman's cape features articulation and flexibility! Ages 15 and up. If you have any problems, we are very glad to help you. quantity: 1 PCS. We do not repair or replace item with expired warranty. Tm & (C) Dc Comics. Model Number Major Producing Countries We will look it for you.